I first heard about Homeschool Programming several years ago but didn’t think my girls would be interested and I wasn’t sure I wanted to invest the money. Lately, though Turtlegirl has developed a strong interest in computer science especially computer programming. I’ve also noticed that more and more colleges want to see computer science on an applicant’s transcript. How perfect that just when I need it, the Schoolhouse Review Crew has the opportunity to review several different products from Homeschool Programming. I listed the TeenCoder C# Series as our first choice. This product is for high school (grades 9-12) and there are two semester long courses in this series. We were blessed to receive both Windows Programming (1st Semester) and Game Programming (2nd Semester). On the website, Homeschool Programming offers a printed textbook kit that includes the physical Student Textbook and a CD. The CD contains both Student Files and Solution Files. According to the Getting Started PDF, an electronic alternative is sometimes made available however normally it’s the printed kit. The Instructional Videos are an optional component and are not part of the course materials, though they can be purchased as part of a bundle. As part of the Schoolhouse Review Crew, we received the electronic alternative. We downloaded a compressed/zipped file that contained the PDF versions of the Student Textbooks for both Windows Programming and Games Programming. Homeschool Programming sent us the physical discs for the Instructional videos. What is TeenCoder C# Series? The TeenCoder C# series is a hands on computer science course for high school students that teaches computer programming skills using the C# “language". You need Microsoft Visual C# 2010 Express in order to complete the projects but information and instructions for downloading are included in the student textbook. Microsoft Visual C# 2010 Express is a FREE download. You must register the software but registration is also free. For both courses in the TeenCoder C# Series, you’ll find Chapters divided into 3 or four lessons, a hands-on activity for the student for each Chapter and a Chapter Review for each chapter. (Some of the chapters in the Game Programming include more than one activity. )There is also a 10 question, multiple choice test provided for each chapter. The Solution Guide PDF includes information for the teacher such as a scope and sequence and grading tips. Although no computer programming experience is necessary before beginning Windows Programming, students should be familiar with basic computer use. The Game Programming course requires the XNA Game Studio 4.0 software, a free downloadable plug in for the Microsoft Visual C# 2010 Express software. You do not need to set this up prior to beginning the course because downloading and installing the plug-in is the activity for chapter 1. I had Turtlegirl walk me through a typical-for-her week. She starts by reading through the lesson(s) for the day. If she needs help she will pop in the video. (She informed me that she rarely needs the videos, but her older sister chimed in with the fact that she found them very helpful and used them most of the time.) There is usually only one activity per chapter. She would spend 2-3 days reading the lessons and then spend 1-2 days working on the Chapter activity. Every chapter has a chapter review and there are chapter tests available through the Solutions file. Though Turtlegirl rarely needs the Instructional Video, I am glad that we have it. I would not be able to explain these concepts and we would need to find another resource. Both Tailorbear and BooBear have used them regularly. When either of them says “I don’t get it this lesson,” I respond with “have you watched the video for that lesson?” Watching the video usually clears up and confusion. Note: The opinions expressed below are based on using the first semester materials for the 8 week review period. I explicitly enjoy everything about this program. Minus one thing. I don’t like the grey strips of code you find in the lesson. The actual Visual C# programmer doesn’t work the same way the grey strips do. However once I worked with it more I figured it out. The activities although equipped with instructions, didn’t have anything visual for me until chapter four. THAT was frustrating. I look forward to making more programs. This program is teaching me stuff that I really enjoy doing. Even if I’m not that good at it. I really like this program. I like how with the activities, there’s a base-line that you have to cover, but there is a lot of maneuverability for me. There’s lots of room for creativity. I like this program partly because I love computer programming (it’s something I’m considering pursuing as a career) and this is really good at explaining the basics for me. I cannot wait to begin Semester 2, when I will get to program my own games! I enjoyed this program even though it challenged me. It was nice to learn so much about the computers that I have grown up seeing. I like to know how they are put together even if computer science is not my strongest point. This program offers much information on how to work with C# code. I think it is one of my favorite codes. I love that the TeenCoder C# Series is a self-study program. I do not have the background or experience to teach a computer programming class and thankfully with Homeschool Programming I do not have to! Homeschool Programming was written by home school parents who do have the background and experience. I also appreciate that guidelines for grading activities as well as tests and answer keys are included. This means that I can have my high school students complete this course and give them a grade for the transcript. I am impressed enough with the program and with how well Turtlegirl is doing that I am considering both the TeenCoder Java Series and the brand new KidCoder Web Design series. I do recommend TeenCoder C# Series if your student is interested in computer programming or needs a computer science class for high school. Visit the Schoolhouse Review Crew blog to read what others have to say about the different courses offered from Homeschool Programming. I was not a science person when I was in high school. I avoided science and math. I was planning on marrying a rock star or something and wasn’t going to go to college so I took classes like French, German, Psychology, and Choir. As a home schooling parent, I’ve been concerned about my ability (or lack thereof) to teach high school level science. Products like Science for High School help alleviate my fears about teaching. Turtlegirl and I have been blessed to use the High School Chemistry in Your Home program for the last several weeks. This program is research based. What does that mean? It means the student uses the student manual as a guide to research the topics to learn chemistry. The manual is divided into semesters and broken down into weeks. Each week the student should answer the questions from the student manual using the library, internet, or textbooks. Teacher/parent should meet with the student weekly to discuss the questions and the student should do the accompanying lab. We received the manual set which includes the Student Manual which comes shrink wrapped and ready for your three-ring binder and the softcover, spiral bound manual for the parent/teacher. Lab equipment and chemicals necessary for this subject can be purchased directly from Science for High School. You can see the kit options here. Each student must have their own student manual, however, this course can be done with more than one student. Students could come together to discuss the research findings and complete lab exercises. There is a section in the FAQ in the teacher manual that suggests a weekly type of schedule. The assignments are divided up by weeks, but I like to think of those as lessons. Some of the research requires more time and effort than other questions and we’ve found that we prefer to focus on science for about an hour a day several days a week. The lessons do average out to about 1 per week. I like the idea of giving Turtlegirl 3 to 4 days to work through the questions for the week and then take a day where we discuss the questions, then she can take a quiz. I like giving the labs their own day and we’re trying to match up lab days with dad’s days off. I appreciate that as a parent, I can use this guide even though I never took chemistry in high school nor college. The information that I need is right there in the manual. I’ve come to really enjoy the discussion time with Turtlegirl. This chemistry course allows me to be more of a mentor or coach without the pressure of trying to teach these concepts. When her answer doesn’t appear to match the manual, we research together to reconcile the two answers. We have found it very helpful to have a science encyclopedia and a science dictionary in addition to a textbook on hand for researching the questions. The internet has also been a good source for information. Ms. Ardoin also recommends making use of your local library. Though this is working great for Turtlegirl, I do not think it would be such a great fit for Tailorbear. I do recommend this program but with this caveat: students need to be self-motivated and able to work without the structure of formal lessons or lectures. With this program students are not spoon fed the knowledge but rather must research from other sources to find the answers. I am enjoying using this program. I like that I have to look up the answers for myself; I think it helps solidify the information in my brain. The questions are easy to understand. Sometimes the answers are hard to find. I like the format of the questions for the week. First are the ‘lecture’ questions, and then I have a few lab questions to answer before doing the lab. I like how there are a variety of question types. One of the things I like about the labs is that the instructions tell you exactly what you need and what to do. I also like how there are questions at the end of the lab for you to answer. One of the things that I suppose is a good thing although it frustrates me is that the answers in the teacher book are often longer and more complicated than what I can find. Overall, I am learning a great deal with this program. I think it is better for me because I can look up the answers and not have to go over a lecture in my head trying to remember if it did indeed say something about such-and-such a property. I can make sure I actually have the answers I need. I also love the weekly discussions I am getting to have with my Mom. This way, if I’m getting stuck, I can bring that up and she can help me. I am very much enjoying this program. Price: $79.99 for the set of one parent guide and one student manual. Extra student manuals are available for $24.99. Visit the Schoolhouse Review Crew blog to read what others have to say about Science for High School. All information is correct and accurate as of the date of this review. 1. This week we had 3 doctor appointments, 1 dentist appointment, 1 final piano lesson and that was all just Monday-Wednesday. One of the doctor appointments was a follow up for Turtlegirl because of her dislocated jaw, another was to get immunizations updated and certified for the college bound kid. (It’s really real, isn’t it? She really is starting college in the fall! ), the third doctor appointment was really a spur of the moment since Honeybear was already there he talked to the doctor about some concerns with his bp and pulse. He doesn’t see the cardiologist for a couple more weeks. So our family doc squeezed him in right there on the spot and did some medicine adjustments. 2. We’ve harvested peas twice this week. I used the first picking in hamburger gravy last night. I don’t usually put peas in my hamburger gravy but these peas were a few days old and I *needed* to use them. I had planned on using them in Tuna Macaroni Salad but that didn’t happen. Yesterday’s pickings looks to be enough for TWO meals. We’ll use some in tonight’s veggie sweet and sour stir fry. I have to figure out what to do with the rest. I think I need to learn how to freeze peas! 3. Honeybear is now officially on Furlough (Government Sequester thing) and it started this week. He was off on Monday. He had last Thursday and Friday off so it was a VERY long weekend. He’ll be off an average of 1 day per week. 5. Related to loving my backyard: We have some wild blackberry bushes. Blackberry bushes always makes me think of visiting my grandparents in Kentucky. The road to their house (dirt road, like a long private driveway) was lined with wild berry bushes. Mostly blackberry but also raspberry and other berries. If it was the right season when we visited we would just roll down the windows and pick berries as we slowly drove towards grandma’s house! It looks like we’ll have some blackberries from our yard later this summer! Linking up with Miranda over at The Pebble Pond! It’s fun come join us! Little Steps: Butter, Why it’s better and Better Butter Recipe! *Note* I start off with lots of background information but I do share a recipe for “better butter” that is a blend of real butter and a good oil. Scroll down to find the recipe if you want to skip the *why* part. Because of my husband’s cholesterol levels and his newly diagnosed heart disease oh and that pesky heart attack, we’re taking little steps to better health or baby steps to healthier eating. This post gives some background about where we’re starting from. One of things the doctor recommends is a low-fat diet (not a NON-fat diet but a low fat diet). But not all fats are the same and not all fats are bad. Just because it is saturated, doesn’t mean it’s all bad either. I’m not going to focus on ALL fats or oils here I just want to talk about butter. Butter gets such a bad rap from doctors. (See note above about doing your research!). The label says 2.5g of saturated fat, 3 grams polyunsaturated fat and 3 grams monounsaturated fat. Please note that is says 0g of trans fat however monoglycerides fats (the type of fats in monoglycerides vary depending on source which can be animal or vegetable) including trans-fat are never included in the nutrition information labels. (I did not know this until I started researching). Also, it is important to note that foods can contain up to 0.49g of trans fat and still be labeled 0mg trans fat. It is very important to read the ingredient list and not just the nutrition information label. Basically, I think putting chemicals on your toast is not healthier than butter. And despite what the label says it does not taste like butter at all. Here’s what the label for butter says: 11g of total fat, 7g saturated fat, 0.4 polyunsaturated and 2.8g monounsaturated fat. That is a lot of saturated fat isn’t it. That’s a scary looking number. But the ingredients are just pasteurized cream (milk) and salt. This isn’t the best butter on the market (it’s Kirkland Signature) but it doesn’t have hormones added. Here’s an article I found helpful about why butter is better. Butter needs to be refrigerated. It’s not spreadable when it’s cold. Mixing butter with oil makes it spreadable practically right out of the fridge. We take the container out when putting the bread in the toaster and when the toast is done the better butter is perfect spreading consistency. Butter is high in saturated fat. Saturated fat is necessary for optimum health but too much is not good especially if you already have heart disease which my husband does. Butter has cholesterol. The jury’s still out for me on whether or not the cholesterol in butter affects your own levels but why take a chance. By using Better Butter you reduce the cholesterol. “Everyone” seems to agree that Olive Oil is really really good for you. Better Butter is a tasty way to add more good fat, in the form of olive oil, to your diet. Butter, Oil of choice, a Blender (I love my Vitamix!) and a container to store your better butter. The butter in the big block is slightly cheaper than the butter sticks and since I am just going to blend it all up, I buy the blocks for better butter. I purchased this bottle of Extra Light Olive Oil from Costco. 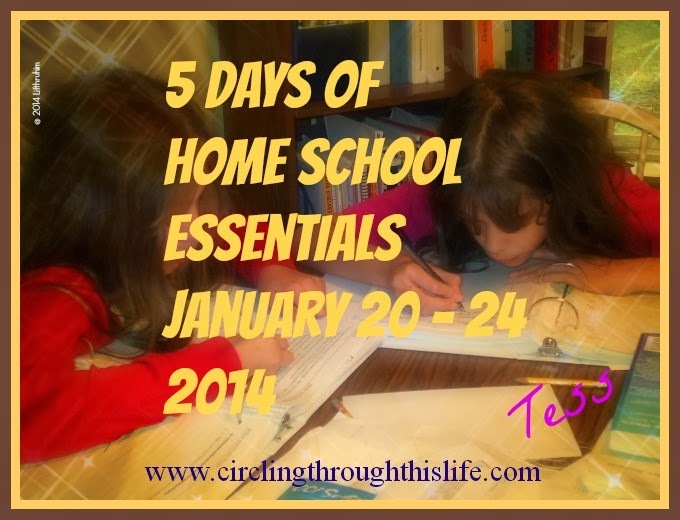 We began investigating homeschooling when my now 18 year old was a mere 14 months old. We started doing some preschool things when she was 3 and at age 4 began looking at more formal curriculum. The kindergarten language arts program we started with listed creative writing assignments such as “write 8 sentences about dirt.” No they did not expect students that young to do the actual physical writing. Mom (or dad) would be the scribe. I struggled because I just couldn’t seem to teach Boobear to orally “write” 8 sentences! Teaching writing quickly became my number one nemesis. I could recognize great writing. Occasionally, I might even produce some decent writing of my own, but teaching my daughters to write overwhelmed and intimidated me. That is until I discovered Institute for Excellence in Writing and Andrew Pudewa’s Teaching Writing Structure and Style along with the Student Writing Intensive program. We received the Teaching Writing/Student Writing Value Package Level B.
I was blessed to be able to review the TWSS along with SWI-C a few years ago so I begged (yes begged!) to be able to review the SWI-B with Tailorbear. She wasn’t quite ready for SWI C when I used it with her sisters a few years ago and though she likes to write what she wants to write, she doesn’t always like to write what she needs to write. Before begging for SWI-B I looked over SWI-C and decided that Tailorbear would really benefit from doing SWI-B now rather than waiting for her to be ready to complete SWI-C.
TWSS is a DVD Seminar with a Practicum Workbook. This program teaches teachers (and parents!) how to teach writing. Specifically TWSS is “a compete syllabus for teaching writings skills to children in grades 2-10.” I would go so far as to say that these methods could be adapted for first graders and I think it could be successfully used by older students and adults wanting to improve their own writing. In addition to the 6 Seminar DVDs, the program incudes a Tips and Tricks for Teaching through the Nine Units of Structure and Style DVD, and three Student Workshop DVDs labeled Elementary, Intermediate Level, and High School Level. Unit 1: Note Making and Outlines ~ students learn to choose key words and to use a basic outline format. This is referred to as the Key Word Outline (KWO). Unit 2: Summarizing From Notes: ~ with this unit students learn to write summaries using their own key word outlines. Unit 3: Summarizing Narrative Stories: ~ In this unit children learn to identify elements of a story sequence (characters, plot, resolution) and use that information to summarize a story. This unit also introduces the very important concept that each paragraph has a purpose. Unit 4: Summarizing References: ~ With this unit students are introduced to the Topic Sentence and Paragraph clincher. Students learn to use the library to finding reading material on a topic, take notes (similar to the KWO idea of units 1 & 2) and write a summary. Unit 4 is closely linked with Unit 6. Unit 4 tends to be one topic first with one source (short) and move on to multiple topics and longer source text. Unit 4 uses only one source text even if the student chooses multiple topics (paragraphs). Unit 5: Writing From Pictures: ~ One of the goals of this unit is to exercise imagination and creativity. The student gets to create all the details of setting, character motivation etc. This unit can be used to introduce or reinforce the topic/clincher relationship. Unit 6: Library Research Reports: ~ Unit 6 is really a continuation of Unit 4 and the two are listed together in the seminar workbook materials. There are 5 stages described in the Teaching Procedure: the first three are covered as part of Unit 4. Unit 6 covers stages 4 and 5. With Unit 6 students use multiple sources. Unit 7: Creative Writing: ~ This unit gives students a structure to use when writing about something that isn’t a report such as a letter to grandma or an essay about how they spent their summer vacation. I love that the seminar workbook materials include a list of ideas for creative writing assignments! Unit 8: Essay Writing: ~ This unit will teach the proper structure for formal essays. Unit 9: Critiques: ~ This unit is the structure for book reports, reviews, and critiques. Unit 9 combines the basic story sequence chart (Unit 3) with introduction and conclusion paragraphs to form a five paragraph essay. Sentence Openers ~ I think my 9th grade English teacher would get along well with Andrew Pudewa. Ms. Bradovitch was very big on varying your sentence formats. Decorations ~ When I think of writing style, I think of types of things you’ll find in the decorations section such as asking a question or using alliteration. Sentence Styles ~ Also called Triple Extensions. The idea is to repeat something within the sentence 3 times such as repeating three verbs, or three –ly words. If you like lesson planning and are comfortable making your own, then you will find that TWSS will provide all that you need to create your own writing lessons custom fit for your students. The TWSS includes: Goals, Recommend Materials, Teaching Procedure, and Adjusting for Grade Level for each of the nine units as well as for teaching style. You’ll also find a sample year’s schedule and sample lesson plans as well as charts and information that you can use to make wall posters for your classroom. (For home use I highly recommend the Portable Wall). If you are like me and love the idea of creating tailor-fit lessons for each child but really need more structure and hand holding, then you’ll want one of the Student Writing Intensive courses. IEW describes the SWI as a “jump-start for teaching writing to [your] students by providing direct instruction for students or model lessons for teachers.” I think of it as a good friend/mentor who holds my hand. The Student Writing Intensive provides all the handouts and materials that you need. I love that source texts, mini-books, charts and checklists are all there for me and I do not have to go hunting for the right length of a paragraph or an appropriate multiple topic single source for teaching Unit 4 concepts. Student Writing Intensive Level B is intended for students in the middle school range (6-8 grades). I am using it through the summer with my 14 year old who just finished 8th grade. She’s had some exposure to IEW in the past but has a desire to focus more on creative writing. I don’t feel she is quite ready for the formal writing of high school (which is covered very well in SWI –C). SWI-B is working out great. She’s building the skills and the confidence in those skills that she’ll need to be successful in high school. SWI focuses on units 1, 2, 3, 4/6 and 7. It does not cover unit 5, 8 or 9. For style the students will learn the 6 Dress Ups and the 6 Sentence Openers. Andrew Pudewa teaches these concepts on the DVDs. Originally, these DVD classes consisted of four 2.5 hour sessions. (No wonder it’s called Intensive!). IEW has taken those intensive sessions and broken them down into 15 Lessons. The suggested course schedule (included!) covers each lesson over 2 weeks providing 30 weeks worth of assignments. You can double up and complete the course in just 15 weeks if you wish. We’re choosing to modify the schedule a bit by focusing on writing 3- 4 days a week instead of 5 days, but we are still completing one week’s worth of material in one week. This allows us to add in literature studies and grammar lessons so that we have a more rounded complete language arts program. Neither the TWSS nor the SWI include lessons for spelling, handwriting, or formal grammar. This is addressed on page two of the Overview in the TWSS Seminar Workbook. If you do not have the teacher’s course, you can still use the SWI successfully. Watching the Structure and Style Overview will give you an overview of our writing methods. Reading the archived newsletter articles on the Excellence in Writing website and exploring our Help & Support section will also give you more help using our programs. But I really recommend begging, borrowing, or purchasing the TWSS. Never mind the fact that Andrew Pudewa is very funny and easy to listen to, he’s done his research. He’s tried this method. Successfully used this method. By watching TWSS, I gained confidence in my own ability to not only teach writing but to improve my own writing. The TWSS makes it easier for me to require written essays and papers for other classes because this is a system that provides me with a solid way to evaluate those papers. TWSS even includes sample check off lists that I have used to grade Boobear’s papers for Music Appreciation and Government courses. As Tailorbear begins her high school career in the fall, I will actually assign the suggested weekly current events report for our American History program. I know that the SWI will teach Tailorbear the skills she needs to organize those 1-3 paragraph papers and the TWI provides me with the guidance to create a checklist for evaluation. Because the SWI does not cover all the units, having the TWSS means that I can continue to implement the structure concepts not covered and I can continue to add to my daughters’ style repertoire. Invest the time to watch the entire Teaching Writing Structure and Style DVD seminar. I found that if I tried to watch more than hour at a time though, my head would spin from information overload. Fortunately, IEW included a DISC menu with the Seminar Notebook so I could find excellent stopping points. If you do not have an extra two weeks or so to watch the TWSS before you need to begin the SWI, I would make the time to at least watch the Overview DVD now included with the SWI DVDs. This program lays such a solid foundation that I strongly recommend using this program. It does require an investment of time by the parent/teacher/mentor because students need feedback, however, with the DVD sessions, I do not have to do the actual teaching. Tailorbear watches the DVD and does the writing assignments. I have come to enjoy our weekly (and sometimes semi-weekly) meetings where I read her paragraph and we discuss her dress-ups and I make notes of any grammar. I love the encouragement that I get from watching the TWSS. Because of the TWSS, I know that I don’t have to worry about all the aspects of writing. I can focus on what she is learning now, knowing that we’ll come back again and again to the different concepts. I was afraid of IEW because I thought it would be so much more teacher intensive than it is and I was afraid because I had sticker shock. Don’t be like me and allow your fears to cause you to miss out on the best writing program on the market! Schoolhouse Review Crew reviewed all three levels of the SWI (A, B & C). In addition to the TWSS & SWI combo. some Crew members reviewed Teaching the Classics another fabulous program available through IEW. Be sure to visit the blog to read what others have to say about Institute for Excellence in Writing.